-Case - I haven't been one for side panel windows or LEDs for a while now. 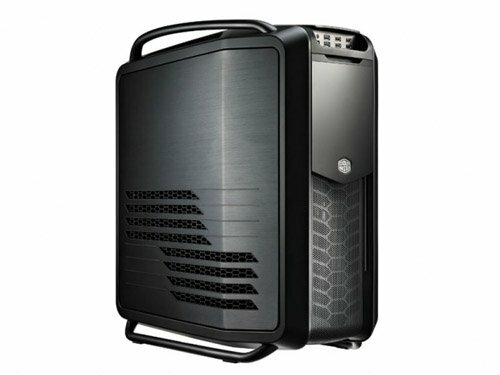 My last case was an ATCS 840 which I love, but it doesn't have enough hard drive space for my current needs. I decided to grab a Cosmos 2 because the refurbished price was quite tempting. I would not have done it for full price. If this thing did not have handles, I don't think I could move it by myself fully loaded. -Monitors - I have been using 2x1080p monitors for some time now. I had heard about the new rage of cheap Korean 1440p monitors. I decided I would get one to try. In doing research and reading reviews, I was curious how the cheap Korean monitors compared to the higher quality models. I happened to find an open box deal on the VP2770 and decided to jump on it. Long story short: I would definitely hesitate to spend $550 again given how close the two display qualities are, but it is nice to have a more adjustable/slightly better panel for my main gaming monitor, with the option of overclocking on the other monitor. -SLI/PSU - Overkill? Sure. But it should last me well during my typical upgrade cycle of 4-5 years. I was a huge Corsair PSU fanboy since my last build, but it seems to me that Corsair's massive success in their expansion to all corners of the enthusiast market has caused them to start charging a hefty premium. I was very happy to find this Seasonic unit for less than $200 at time of purchase, vs. the Corsair 1200's market price of $260. -CPU/Cooler/Overclocking - I'm not a fan of closed loops (at least yet). My plan is always to have a whisper quiet machine at idle with the ability to overclock. I haven't had time to really nail down an OC yet, but the initial tests have unfortunately not been favorable, with a bluescreen on the quick and dirty 4.6GHz/1.25v test for Haswell. Oh well. -Fans - These were my first Gentle Typhoons. I only really started buying premium fans on my last build, which I used Noiseblocker Multiframes on. I am very happy with them so far. They have a great overall noise level and tonal quality. They are a clear winner for me in a side by side comparison vs stock Coolermaster fans (no surprise there) and a Cougar Vortex (though the Cougar build quality with extra rubber mounting screws and sleeved, extra long wire are very nice). -Storage - I have always wanted to save most everything I download, thus the name Packrat for my systems. With HD video these days that fills up quickly. All the hard drives were in use with my previous system, but 4 of them were in an external enclosure): 2x2TB for general use/game installations. A storage pool made up of 3x3TB and 4x4TB. One 4TB is used for parity data for a total of 21 TB of space in the pool. -Cable Management - Never really cared too much about cable management before since I don't use windowed/lit cases, but I had fun with this one. I spent probably 75% of my time trying to sort out this Packrat's nest of cables. Given the sheer amount of them, I'm pretty happy with the results. Because of the case's fan controller, the case wire harness had an extra 18 cables in it, one power and one LED control wire for 9 fans. Add in 10 hard drives and an optical drive and you've got one shitton of wires. I hope not. i just have 256 gb... saving up for another 780, not a hard drive. Honestly, I would get a storage hard drive before another 780. Bragging rights doesn't beat practicality. 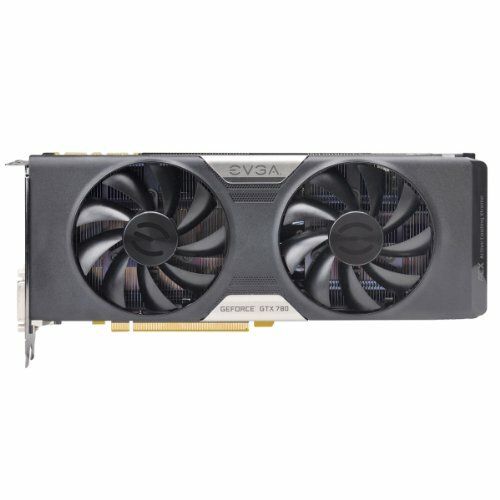 256GB doesn't go far, you'll actually need more storage before you "need" another GTX 780. I have currently used up 140 gb. And i have 2tb of cloud storage where i can store junk anyways. But you are right i could just drop $60 and grab a hdd. Get an HDD. I agree, another 780 is not worth it in the near future, not much pushes a single 780 as is. On the other hand, I would not consider the cloud to be a reliable long term storage solution, just buy a WD Caviar Black (or Blue even) 1TB for$50-$70, I think it's worth it. I have a 320GB HDD right now and I'm already ready to upgrade, it's nearly full and I don't have nearly as much stuff on it as I would like to. Haha I do have some spare drives around. Each of the 6 drives in the storage pool actually has a mirror external copy that I keep with me, and I have spare 3TB and 4TB drives to swap in immediately when a failure occurs. The COD Ghosts PC download, is 50GB. 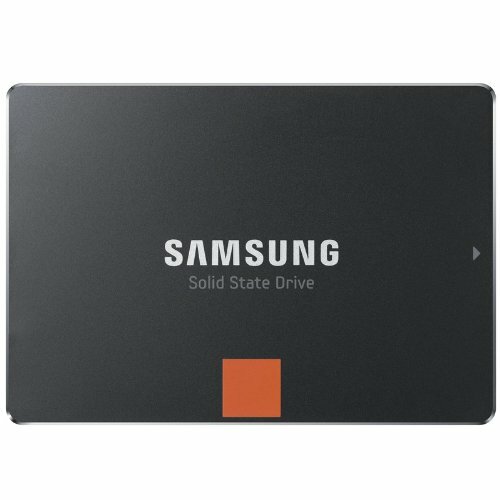 I just added a 500gb laptop drive to my rig. Already downloaded it ! Plus the hdd was free. Thanks. I think the sheer amount of space in the case really helps the clean look. That's a lot of hard drives! It just sort of gradually grew over the years. It wasn't until the past year that I really got serious about data backup and created the storage pool. Premium build. I wonder how 2 1440 monitors are? It's been awesome so far. At $300 or less on ebay for the Koreans I suspect they will rapidly grow in popularity (I guess they already are). Nice build its practically what i am going to build but myn is much higher end on the mobo/cooler/ram and new HDD's and SSD's and not to mention various other things. How was laying out the cable for the side panel and do you like the case so far? Well I look forward to seeing your much higher end build. The case has been great so far. Very easy to build in with plenty of space. Nice looking forward to that. Would like to mod the case side to have a window but i might wait a bit for that. Looks like you had plenty of use for all those 11 drive slots. Has the fan control been usefull? I would say it is about as useful as all fan controllers, which is to say it's a nice feature, but doesn't get used much. The only issue I have had is the 'top' channel I have controlling a CM 200mm on top and the stock 140mm rear exhaust. 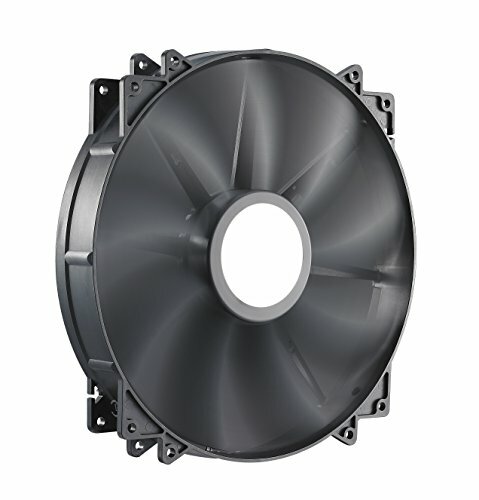 If this channel is not on full speed, one or both of the fans create motor noise, so I have to leave it on full speed. Does not surprise me. 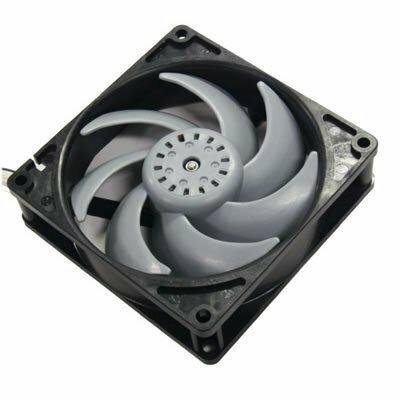 If you are getting allot of air flow into the case and not enough out or vice versa it will create a pull or push on those fans thus creating the noise since the fan is being forced. Going to have a simular fan set-up but from what i am predicting is my front fan will have to be on full to keep up with the others. The noise actually comes from trying to run the fan at a lower speed than it was designed for. Lots of fans will be fine with this, but some fans just don't like it, and the motor will create noise when a fan controller is giving it weird/changing voltages to lower the speed. Damn. Awesome build. You should get some backplates for your 780 :). I jusr posted by build, check it out. 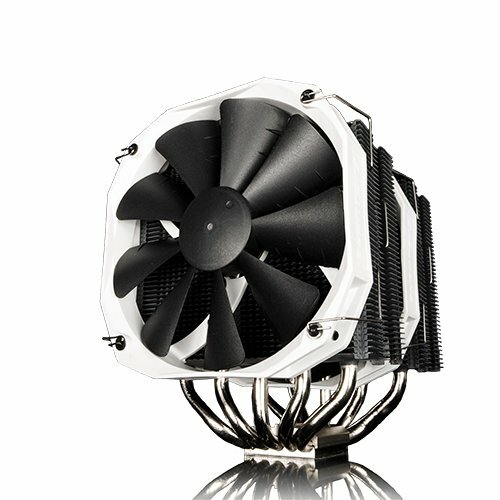 is corsair vengeance lp only good for that cooler and not with noctua? someone told me there aren't enough room because of the heatspreaders..
LP should work fine on a Noctua. 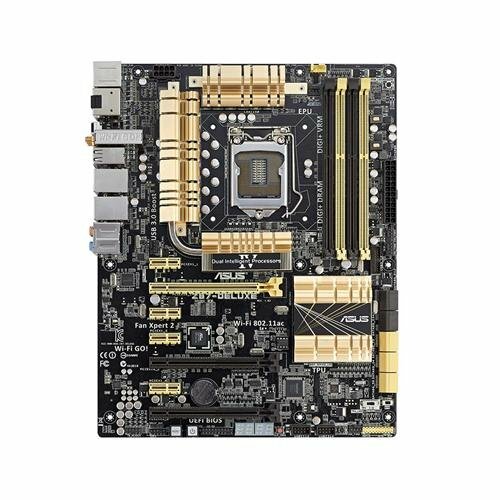 The memory (CML16GX3M2A1600C10) in your parts list is not in Corsair's or Asus's memory compatibility list for Z87-DELUXE motherboards. Are you using the memory shown in your parts list?